Hidden keywords are used by our search algorithm, but they are not publicly visible on the website. In other words, search queries will match to Hidden keywords, even though these keywords don’t exist on the document. 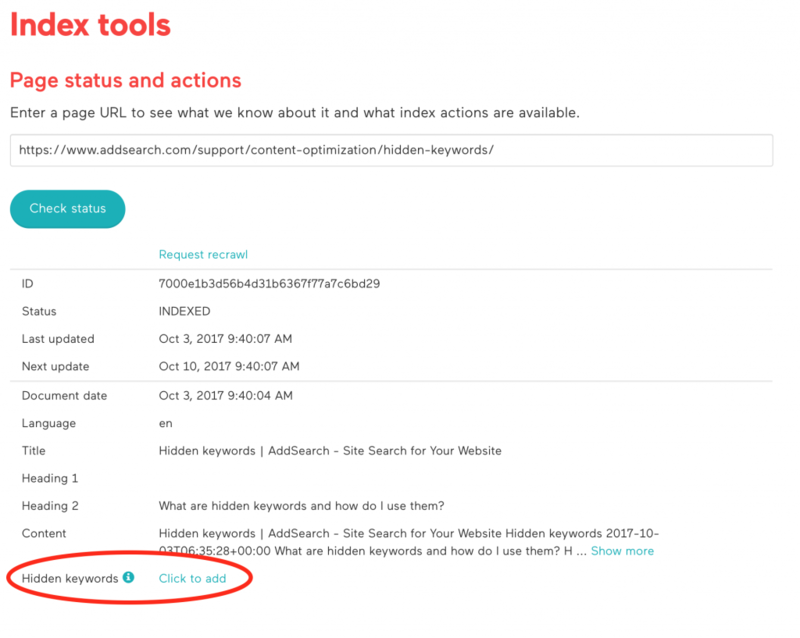 Hidden keywords can be added from the Dashboard’s Index tools section. Look up a page by URL, scroll to the bottom of the page and add keywords.